A woman uses her scarf to wipe away a tear brought on by frigid weather, Thursday, Dec. 15, 2016, in Portland, Maine. Much of the northern Mid-Atlantic and Northeast will stay cold for the next couple of days as the arctic air remains stuck over the northern Appalachians, the National Weather Service said. 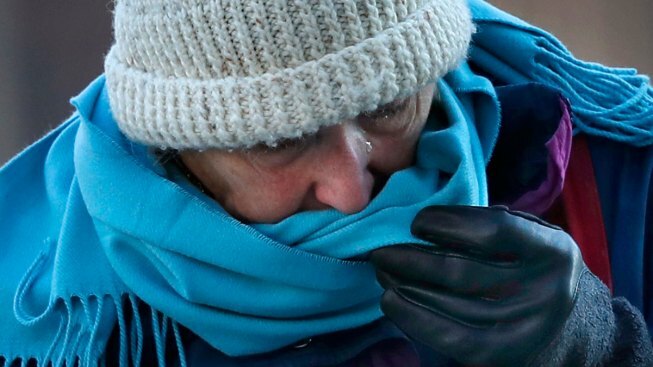 Low temperatures and high winds have put the Northeastern U.S. in a deep freeze. "You are talking about 30 degrees below normal highs. That is pretty darn cold," said National Weather Service meteorologist James Brown in Maine. "This is pretty much a piece of Arctic air that came off the North Pole and came into New England." "We're not strangers to these sorts of bitter temperatures on Mount Washington's summit," senior weather observer Mike Carmon said in the weather observatory's blog at the highest peak in the Northeast. "However, over the last few winters, it's generally late January or February before we experience this sort of polar air outbreak." Utility workers were prepared for power outages due to fallen trees. David Flener, field safety manager at Eversource, New Hampshire's largest utility, said workers are well-educated on how to stay warm in the coldest weather, starting before they even arrive on a job site. 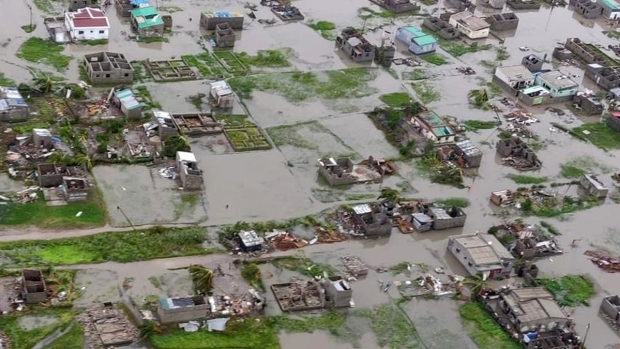 They are urged to make sure they carry an emergency kit with clothing and food in case they get stranded, and once they arrive, there is a discussion about on-the-job safety. "We're oftentimes up in buckets, so you're sometimes above the trees and there's a little more wind up there," he said. "You'd be surprised how much heat you lose from the top of your head." Sara Sankowich, who oversees tree crews for Unitil, said workers are encouraged to watch out for one another to see if they show signs of hypothermia or frostbite. "We'll take every step to make sure they are staying safe out there and that they're not overexposing themselves to the elements," she said. In suburban Syracuse, a woman's body and vehicle were found in a creek, apparently after a crash during whiteout conditions from the lake-effect story.